A Porsche is a great example of German engineering and attention to detail. Every Porsche is a complex machine, and each part of the machine has its own purpose and importance. If you’re a Porsche owner or just an enthusiast, you’re probably familiar with the term “IMS”. But what does that mean, and why is it important? In this article, we will explore the functions of the IMS bearing, the importance of those functions, as well as some common concerns associated with the IMS bearing. The intermediate shaft is a geared shaft that runs through the engine, extending out of the front and rear. In short, the intermediate shaft helps to drive the camshafts indirectly off of the crankshaft. Because of this, the chain speeds are reduced, which improves chain performance and extends the lifespan of the chains. The intermediate shaft bearing, usually abbreviated as IMS bearing, is a key component of the intermediate shaft and ensures that the intermediate shaft can rotate smoothly. The IMS requires a strong, well-lubricated bearing to aid in the rotation which drives the camshafts indirectly off of the crankshaft. Since this is the main purpose of the intermediate shaft, the intermediate shaft bearing is an essential component of the part. The intermediate shaft bearing was introduced to the Porsche around 1999 and has been redesigned several times in attempts to improve its functionality and strength. From the earliest designs in 1999, which is also featured in some of the 2000 and 2001 models, a double row ball-bearing system was used as the intermediate shaft bearing. After this, Porsche fazed out the double row in favor of a single row, which couldn’t handle the same amount of stress. This sometimes resulted in the bearing being damaged. In the worst cases, this caused catastrophic damage and engine failure. What happens if the IMS bearing is damaged? The IMS bearing has changed over the years. Initially, it was a ball bearing which would fail due to stress or lack of lubrication, resulting in catastrophic engine damage. Because of this, the IMS bearing was redesigned to feature plain bearings instead of ball-bearings. The plain bearings are pressure fed engine oil for lubrication and never fail. If the plain bearings wear out it may cause a slight knocking noise in the engine, but it will never lead to catastrophic engine failure or engine damage. Is it possible to prevent failure of the intermediate shaft bearing? Unfortunately, in some Porsche models, the intermediate shaft bearing is literally unable to be serviced. However, in most Porsche models this is not the case. Because of this, it’s very important to make sure that the intermediate shaft bearing is checked and serviced regularly because a failure could cause extensive damage to the engine. The failure of an intermediate shaft bearing could result in the timing of the camshaft to be thrown off, which can cause impact between pistons and valves, smashing these important components of the engine and causing extensive engine damage. At European Motor Cars, our German automobile specialists are incredibly skilled and are the most qualified to take care of your vehicle. 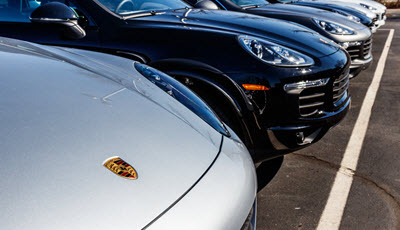 Whether it’s a Porsche, Audi, BMW, Mercedes-Benz, or Volkswagen we’re committed to providing the best quality of care and service. Our attention to detail and our standard of perfection will ensure that the intermediate shaft bearing in your Porsche is in perfect running condition. We pride ourselves on providing the best automotive care in Nevada, and because of our commitment to safety and our stellar customer service, we serve clients from Spring Valley, Summerlin, Henderson, North Las Vegas, and Las Vegas. Our all-star team at European Motor Cars will take care of any of your Audi, BMW, Jaguar, Land Rover, Lexus, Mercedes-Benz, Mini Cooper, Porsche, Range Rover, Volvo, and Volkswagen service or maintenance. We build strong, trusting, personal relationships with all of our clients and would love to assist you with any of your European automobile needs. Please call us if you would like to become a respected client at the most qualified shop in the area. * Porsche 911 GT3 image credit goes to: Federico Luppi. * Porsche Cars image credit goes to: jetcityimage.